Celebrate their Life, not their Passing! There has been a subtle but steady shift in America’s views of death and the aftermath. Psychology Today magazine has a great piece on the American relationship with death and the changes ahead as Baby Boomers are growing older. It isn’t death that has changed, it is still a solemn and sad occurrence in everyone’s life. Instead, the way we handle death has changed. Mainstream religions are recognizing that grieving for the dead does not have to be simply mourning and tears, and now more people are choosing to hold a celebration of life. More people are shunning the high cost of funerals and opting for more affordable alternatives. Cremation has become mainstream and accepted and many religions have recognized the practice as acceptable to their faith. Eco-Funerals are another trend in end-of-life arrangements. Websites such as NaturalEnd.com , that explains this new movement and the drive to be eco-friendly, even in death. Many topics, such as biodegradable caskets and burial locations are covered in detail. Gone are the days of mourning and shedding sad tears for a departed friend or loved one. In its place, many are remembering those who have left with positive feelings and even joy. As a culture, we are becoming ever more accepting of our mortality. People are choosing to remember the joy, accomplishments, and life of those who are no longer with us. The Celebration of a loved one’s life is a positive way for friends and loved ones to cope with a loss. That does not mean no one cries. it’s just that the “mourners” cry tears of joy and remembrance of a life well lived. Interested in scheduling a Celebration of Life to honor your loved one? The Beacon Center is perfect for this new trend. Contact us through our website at thebeaconcenter.com. Access to 65″ TV for playing a slideshow of your loved one. Setup of tables – We know the best setups for the use of our space, let us set you up right. 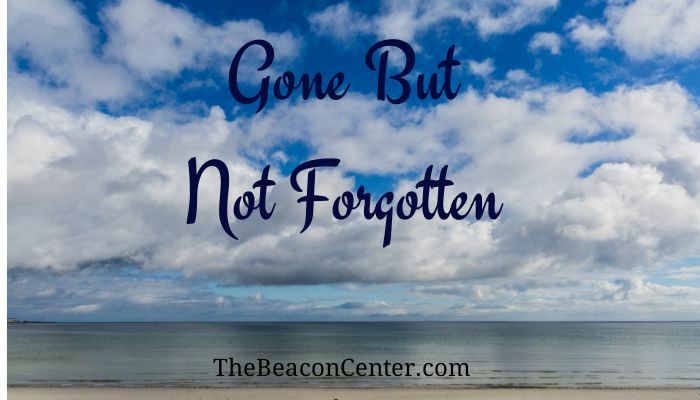 Since opening The Beacon Center we have hosted dozens of Celebration of Life gatherings. Let us put together a package that combines affordability, simplicity & memorable.